Uplifting and nourishing Yoga Holiday! 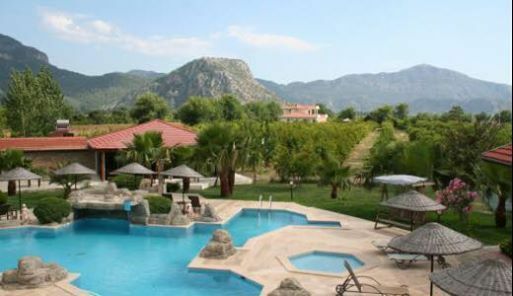 We are heading back to beautiful Southern Turkey to provide inner harmony, relaxation, the luscious rush of feel-good hormones – and of course a wide range of spine-tinglingly blissful nature, fun, connection, immense creativity and social time. All created : to see your asanas blossom! All levels are welcome with space to expand ones yoga and play-shop anything specifically requested! Holiday Highlights:Yoga twice daily: Yoga foundations; flows, Handstand & arm balance training, backbend workshops, Breath-work (pranayama); meditation; Aristea an incredible physiotherapist/ massage therapist available for treatments. The morning sessions will be general yoga classes, a great start to your day, with varying focuses. In the afternoon, you shall focus on handbalancing,, backbends and yin. With the handstand work, everyone shall find a place to be comfortable in some handstand variation and everyone shall find that they expand their abilities. Catie is the author of “This Is It, Enlightenment with CYoga and teaches master classes internationally. Catie shares a core approach that anything is possible. She is spontaneous with an original and integrated approach to yoga. She conducts all types of classes including one-on-one and group yoga, master classes and yoga training intensives at some of the worlds most naturally beautiful locations including Turkish gulets on the Azure sea, Italian farmhouses, presenting at the red rocks of Sedonas yoga Festival; anywhere and everywhere. "My love for massage therapy started from a very young age. I completed my degree in Kinesiotherapy and got a fully therapist license in 2001. In 2007 I graduated from WAT PO in Thailand were I was introduced new techniques and types of treatments. I always combine my knowledge when it comes to body work according to clients needs providing indulgent& personalised treatments. My love for yoga started in 2013 when I established my small business in a yoga centre. Life changed for me after that and it was a starter point to explore a deeper connection between mind/body/spirit. Transferring this vibe in a yoga retreat gives me such happiness. Connect on a daily basis with the yogis and treat them depending on their yoga practice and where they want to improve or just give them an Holistic treatment near nature, where the body feels more grounded and the heart rate and breathing patterns slow down! Looking forward to create with Catie a week of magic".